Chenjia (Ben) Wang joins Mellen, Smith & Pivoz PLC (MSP) in June, 2014. Before joining MSP, he worked as program manager with Revstone Industries LLC from 2010-2013. Prior to the position of program manager, he worked as IT analyst for the IT division of Revstone Industries LLC. Chenjia has been working on various clients’ projects and mainly focuses on Chinese clients since he joined MSP. Chenjia got his degree of Master of Science in Accountancy from Walsh College in 2014. 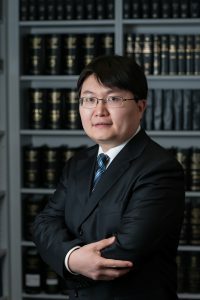 He also has a Master Degree in Computer Science from Wayne State University and a Bachelor Degree in Electrical Engineering from Shanghai University. He was awarded scholarship for his accounting degree in all the semesters attended in Walsh College.